This week Science for the People is learning about the regulatory frameworks that try to balance scientific progress with the safety of research subjects. 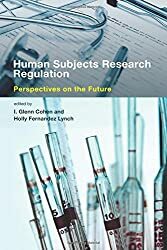 We’ll speak to Holly Fernandez Lynch and I. Glenn Cohen of the Petrie-Flom Center for Health Law Policy, Biotechnology, and Bioethics at Harvard Law School about their book Human Subjects Research Regulation: Perspectives on the Future. We also speak to health journalist and editor Hilda Bastian about research, journalism, ethics and “The Chocolate Hoax“. This entry was posted in Follies of the Human Condition and tagged chocolate, ethics, Hilda Bastian, Holly Fernandez Lynch, human research, I. Glenn Cohen, Petrie-Flom Center, Podcast, science, science for the people. Bookmark the permalink.